The global insurance market is intensely scrutinized, highly regulated and constantly changing. In this fluid environment, you need an ally with the vision, insight and forethought to overcome these challenges. Navigate the bends in the road with a trusted partner—Dentons. We offer sound advice and widespread experience. 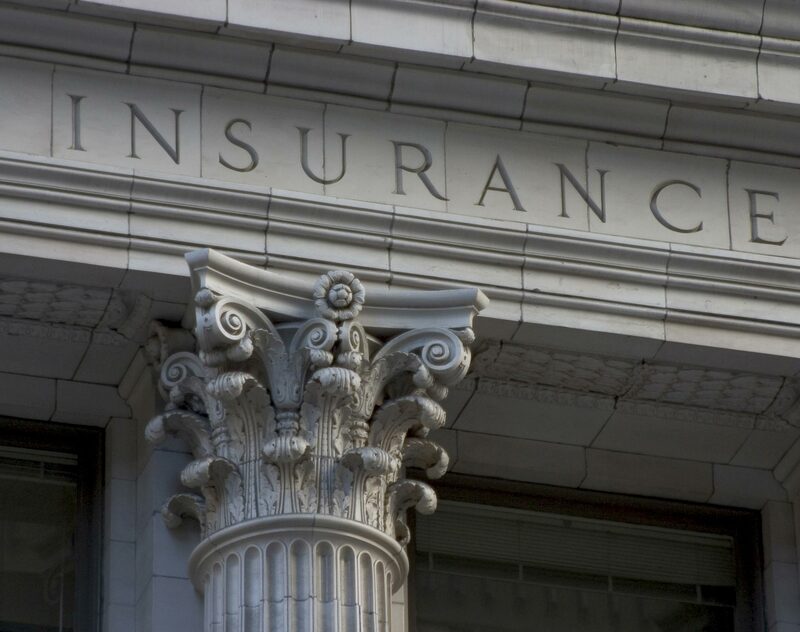 We interact with the regulators who oversee the insurance industry, both locally and globally, to help you anticipate the positions they will take and the issues that are forthcoming. Together, we can leverage this information to your advantage. Our global presence allows us to understand and react to market and regulatory change from many sources, and work with you to develop global and local solutions. We serve insurers, reinsurers, intermediaries and services providers and we understand the industry’s objectives and obstacles from all perspectives. From issues arising from new product development, mergers and acquisitions, and licensing, to reinsurance counseling and arbitration, and as a result of regulatory or legislative changes, we propose business-focused solutions with nimbleness and agility. Fortune 100 Insurance Company: Representing long-time client on a wide range of regulatory, public policy and legislative issues at the federal and state level. Dentons' legal and lobbying team has worked with lawyers and government affairs executives at the client's headquarters on a multiyear flood insurance bill, teen driving safety legislation, Medicare secondary payer legislation and enactment of a provision in Dodd-Frank to require the Federal Insurance Office to release a study on state-based insurance regulation in the United States. After these bills became law, Dentons' legal and regulatory team has worked with Administration officials and attorneys to achieve positive rulemaking for the company and its insurance agents. We continue to advise the client on pending issues and legislation including a national insurance backstop for catastrophic insurance, building code legislation, credit scoring, cybersecurity and privacy issues. Fortune 500 companies: Advising corporate risk managers about significant insurance and reinsurance matters, including matters of insurer insolvency, self-insurance, franchise programs, direct procurement, premium allocation/taxation, claims-handling, and domestic and offshore captive facilities. Global insurance company: Providing on an ongoing basis advice to the entire company market, as well as individual managing agents, underwriters, and companies, regarding the development and implementation of US federal healthcare legislation. The focus is on identifying which coverages are or may be subject to the provisions for the federal law, insofar as even inadvertently writing subject healthcare coverage can expose an insurer to guaranteed renewability, minimum loss ratios, and other long-term and potentially substantial financial impacts. By helping the market understand the federal laws and applicable exemptions, we are able to help the market provide the coverage their clients need without incurring obligations that were not contemplated or compensated. Global insurers: Representing a number of national life and annuity insurers in connection with the "Death Master File" probe and related unclaimed property issues driven by state attorneys general, state departments of insurance and state controllers. Our team has advised many of these insurers on the successful resolution of these claims arising from multi-state examinations. Global insurers: Resolving market conduct actions and investigations in almost every state, as well as handling more multi-state market contact examinations and investigations than any other law firm through the National Association of Insurance Commissioners’ Market Analysis Working Group and others. These issues include: healthcare reform, specialty products (disability, long-term care, personal lines P&C, annuities, commercial lines P&C, travel, and others), and many more. Large healthcare company: Designing an innovative pure captive reinsurance structure for one of the country’s largest vision care companies, which allowed the client to accept reinsurance risk from the underwriters insuring its vision insurance programs. Led by Dentons, the team obtained a captive reinsurance license from the Arizona Department of Insurance. Ongoing, this client looks to us to continue drafting and negotiating its reinsurance agreements. London Market Insurers: Providing advice regarding insurance coverage of cyber risks, data breaches, and similar liabilities, as well as advising such insurers regarding their own data privacy and security breach risks and procedures. This is a growing field of risk that on the one hand provides a business opportunity for insurers seeking to provide innovative risk management services, but on the other hand creates operational risks for data-intensive service providers such as insurers. Our in-depth knowledge of the technical issues related to cyber risks and data security, coupled with our expertise regarding insurance regulatory, operational, and compliance issues, enable us to provide substantive advice regarding coverages that insurers want to provide as well as internal processes to ensure compliance and minimize corporate risks. The 2013 edition of Chambers USA: America's Leading Lawyers for Business recognizes 32 Dentons practices and 82 lawyers. Recognition for the Firm includes "excellent at representing their clients;" "top-notch firm, very good results with them;" and "always prepared, always accessible, and never fail to deliver." Dentons’ 4th annual Gotham Insurance Symposium showcased leaders in the industry, including state regulators, general counsel and senior executives, and outside counsel. We covered many of the issues and challenges currently facing the sector as well as trends and opportunities. Below are our five top takeaways from the meeting. In a speech given on 2 October 2018, FCA Chair Charles Randell explored the difficulty in getting the balance of regulation right and the conflict between social policy choices and an assessment of the quantitative evidence about cost and benefit. On June 8, 2018, the United States Court of Appeals for the Second Circuit issued a unanimous opinion that declined to recognize a fraud exception to New York's two-year contestability period for life insurance policies. Dennis L. Picco, Q.C., F. CIArb.